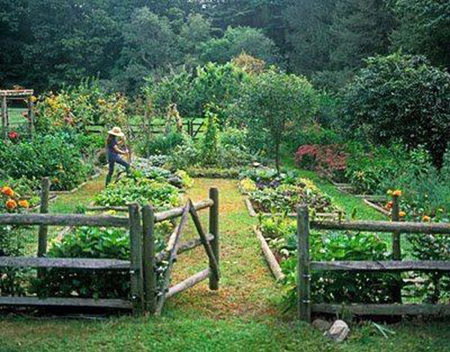 Do you plan on starting your own veggie patch this year? 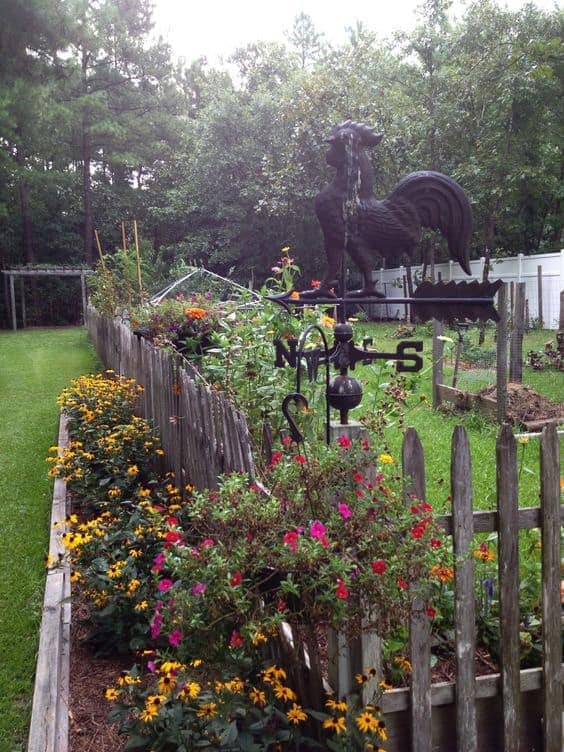 Or perhaps you have a beautiful flower garden that you’re super proud of but can’t keep the critters out. Well, you should really be thinking about ways to fence it all in. 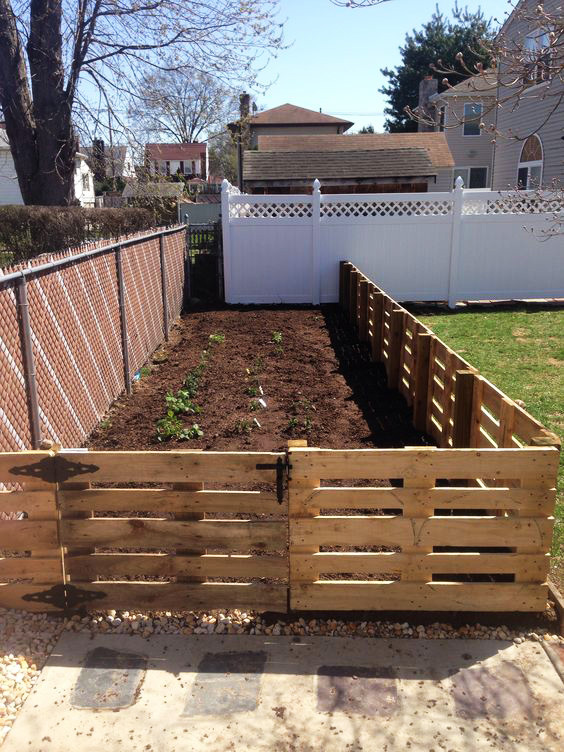 So, I’ve compiled a list of 15 awesome DIY garden fence ideas that anyone can do so you can feel inspired to make your own. 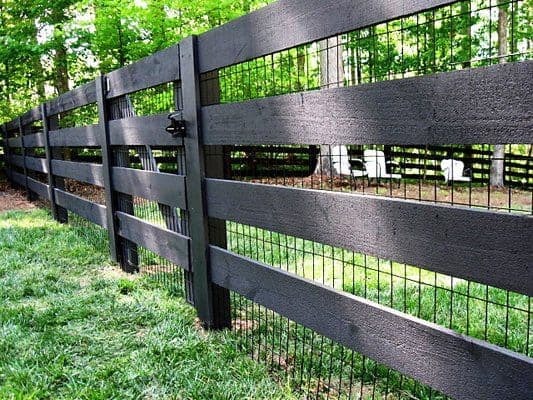 At first glance, this fence is pretty basic. A nice, solid stained black with wide boards that don’t totally obstruct the view beyond it. But if you look closely, you can see the addition of thin chicken wire. 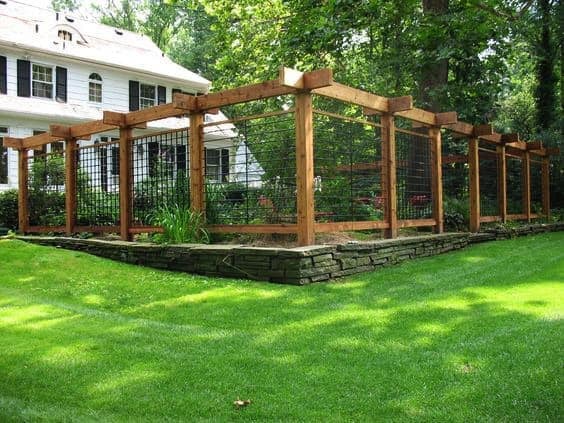 This is a great idea if you want a modern, stylish fence but still have to either keep your small pets in or small critters out. Genius and super easy. 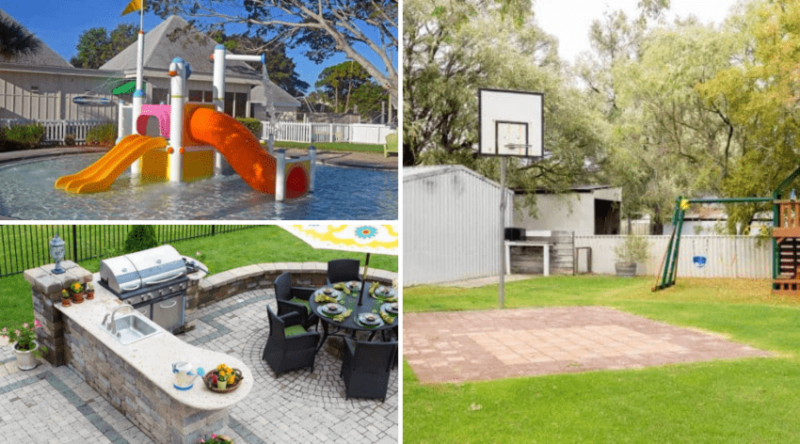 So, you could have a great fence that outlines the perimeter of your home or garden and offer accessibility with a simple swinging gate. 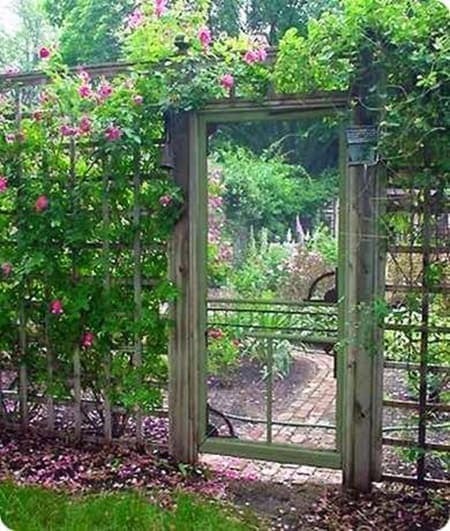 Or you could take it one step further and add a cool garden door like this. The simple wooden frame holds a screen so the door doesn’t obstruct anything, a suggestion by Jean W. from BlazeReviews. 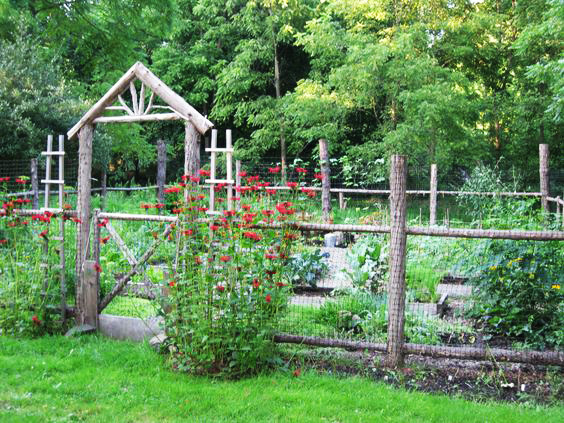 This simple garden fence is short and easily constructed with a few lengths of lumber. 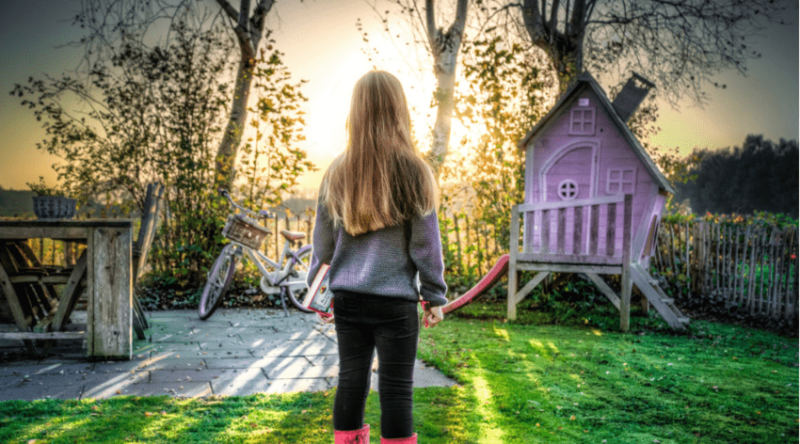 But the feature to look at is the playful use of color. 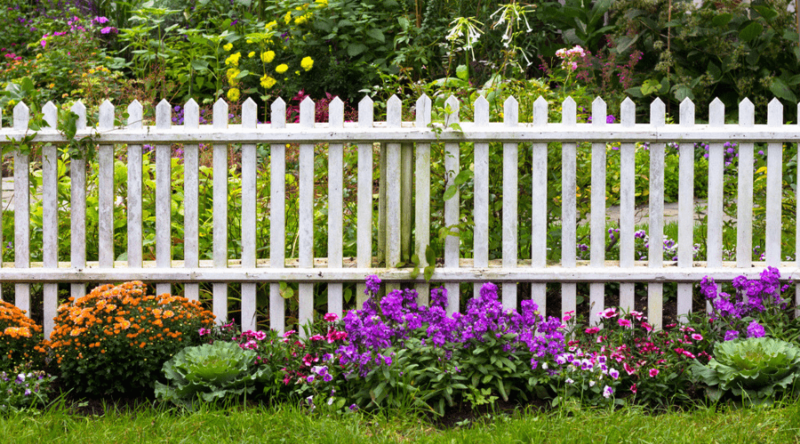 If you want to add some character to your garden with minimal effort, then pick 2-3 of your favorite bright colors and have fun painting the fence. Okay, this idea would only work if you have access to long, thin branches. And not any branch will do. They need to be “green”. That means that there are fairly fresh and easily bent. 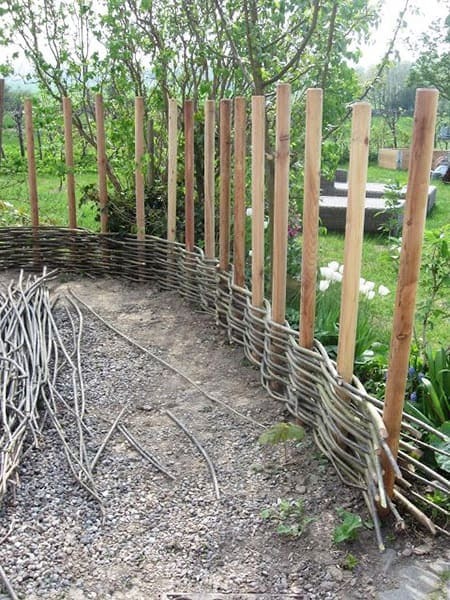 But if you can get them, use the branches to weave a basket style fence like this. Super cool idea! If you’ve got off cuts and leftover timber from an old project, don’t toss it out just yet! It doesn’t matter if they’re all different lengths and sizes. Because you could easily create something like this. A jagged edge garden fence that almost gives the look of a city horizon. 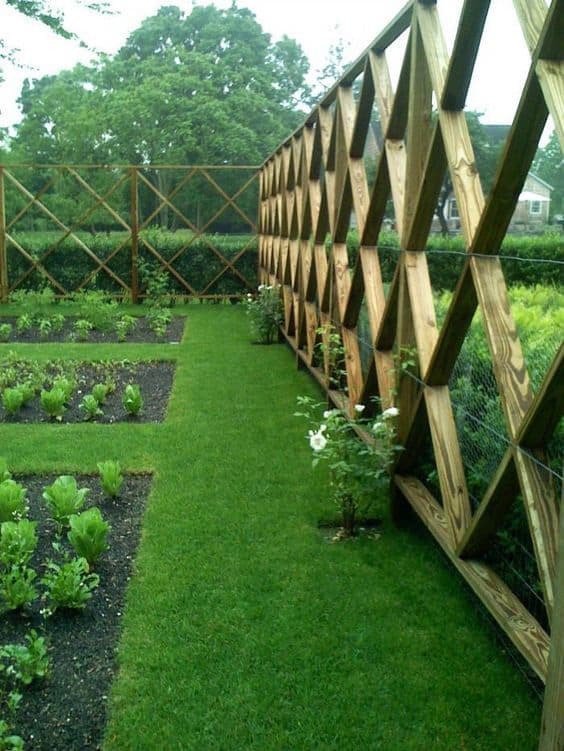 This massive garden fence resembles the pattern of a quilted stitching with the square layout. And even though it’s large and tall, it doesn’t obstruct the view from inside or outside due to the use of thin chicken wire. 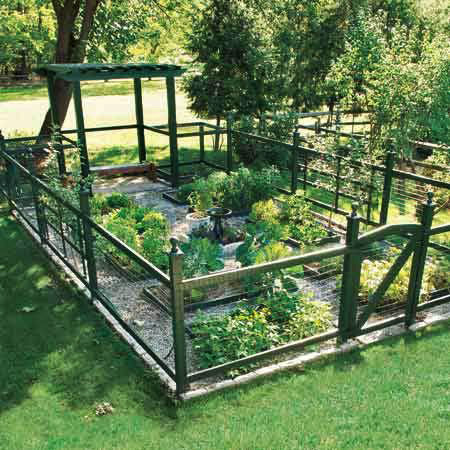 As you can probably already tell, chicken wire is a great tool for making a functional garden fence. Just look at how this one protects the garden but still has an element of style. These old wooden doors have seen a lifetime of use, but they get a second chance as beautiful, rustic garden gates. So the next time you’re out yard saling, pay attention for any old doors. They could come in handy. 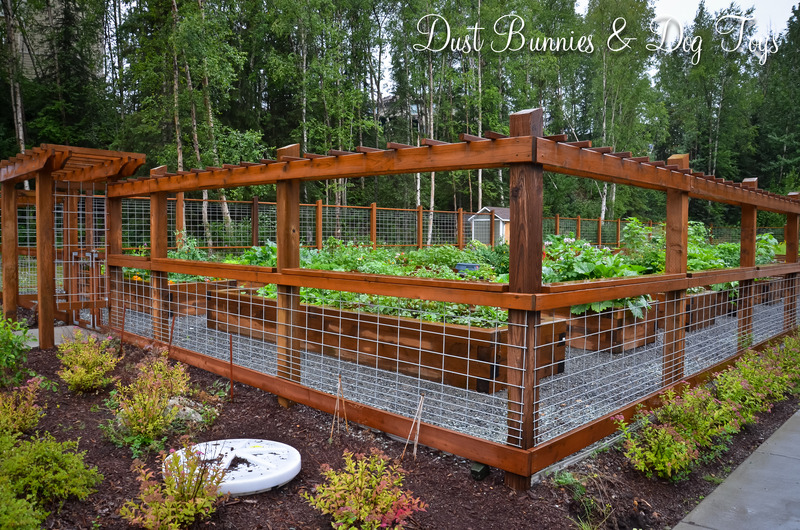 A great way to keep critters out of your garden is to build another garden. 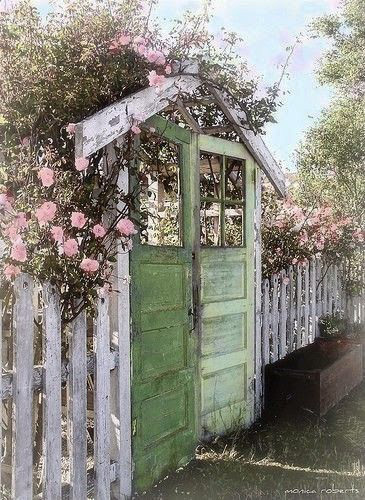 I know, it sounds stupid, but a simple flower bed along the outside perimeter of your garden fence can help deter animals from entering or climbing the fence. 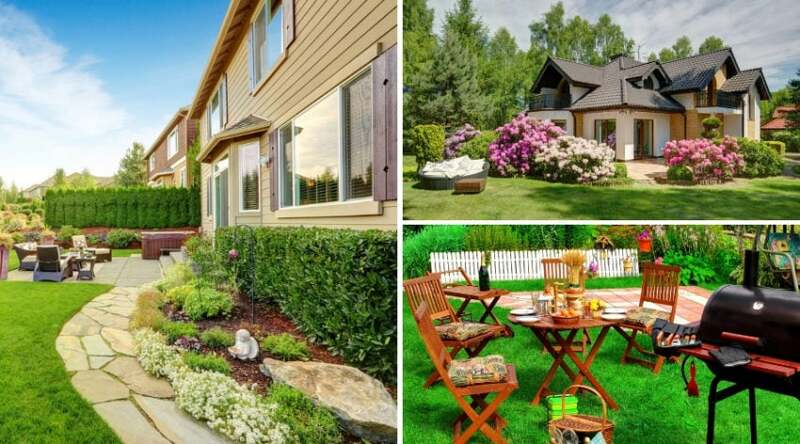 Whether or not you have a log style home, a log fence is a great idea for your garden. It’s simple and easy to make. All you need are some clean logs, a hammer, and some long nails. Even the garden gate is made from logs with an a-frame backing. 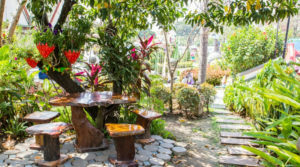 Just check out this garden! Not only is it massive, but the care and thought that went into the surrounding fence is remarkable. Wood planks are used to create the perimeter and are stained a nice golden cedar color. An entire entryway is built to welcome anyone who enters. And the thick metal wire used to keep out critters only surround the bottom half so the beautiful view isn’t obstructed. The old stone garden fence was kept in place as a newer, bigger one was built on top of it. The affect gives this garden a cool, eclectic style with the uneven footing of the stones and the beefy wooden beams that support the tall structure. Nowadays, pallets really can be sued for everything. 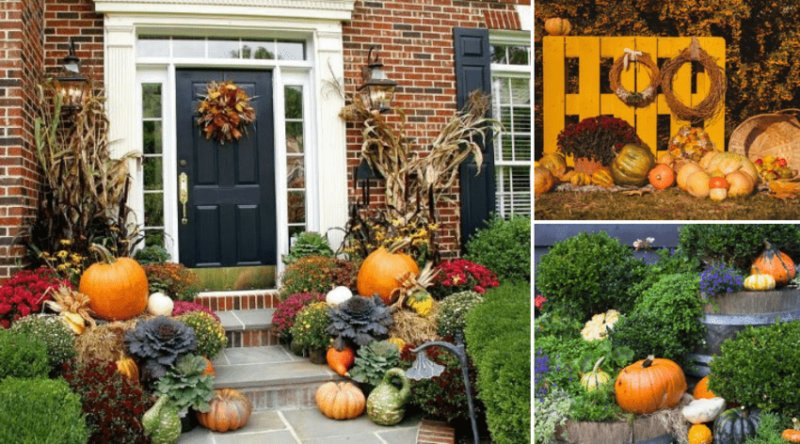 From furniture to artwork and even garden fences. This one is a low built fence to protect the modest vegetable patch, but it works. Even the gate was made from recycled pallets. And why not? The wood is perfectly reusable, and works great. 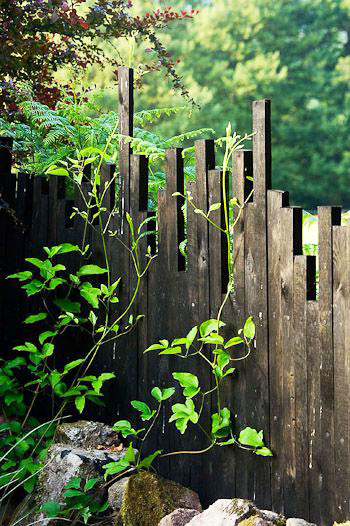 This basic garden fence may appear to be old and rustic, but you can build a brand new on with the same amount of character. Just follow the steps for a simple log style fence but don’t treat the wood. Let it be and it will turn grey like this. And don’t forget to add the handy chicken wire to keep out hose pesky critters. So with this garden idea, you just dig out a shallow footprint to set the garden in. Then you outline the perimeter with square posts. This will help create a base for the fence and also secure the vertical posts better. Wrap it in wire and you’re good to go! So we’ll this list with a basic structure of top and bottom slats and wire in between. No panels, no designs, no fuss. This fence does its job and serves its purpose but you can spruce it up with a nice coat of stain to match your house or personal taste. 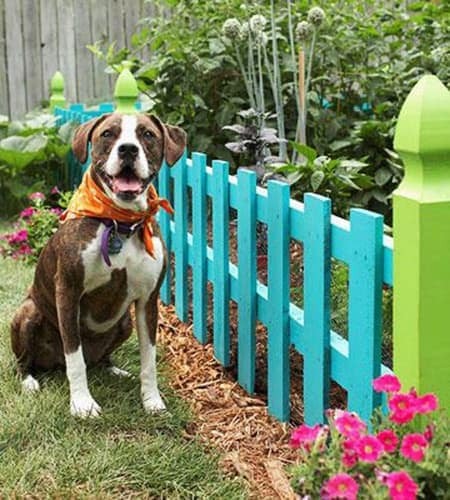 Did you enjoy this great list of simple DIY garden fence ideas? With a bit of patience and creativity, anyone really can do either one of these. 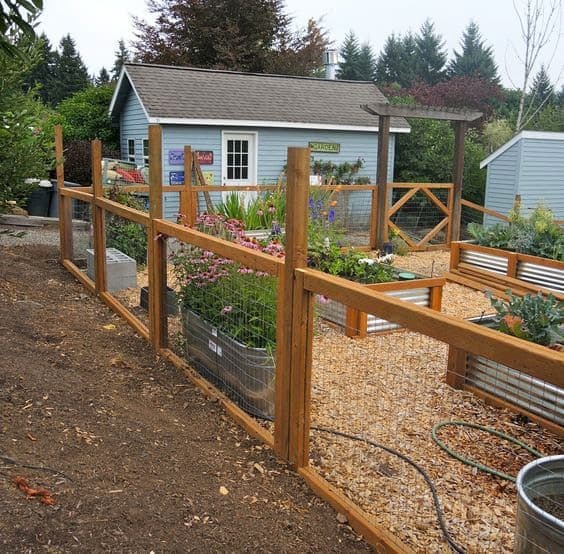 A garden fence is a great way to protect your flowers, veggies, or other plants so if you plan on doing any gardening, consider building a fence to keep it all in. If you liked these or have any of your own to add, please feel free to comment and share below! I as well would like to get additional info on the sanctuary of sorts . Did you say “Super Easy” ??? Ha that is a mean joke. Super easy is the last phrase I would use to describe this.